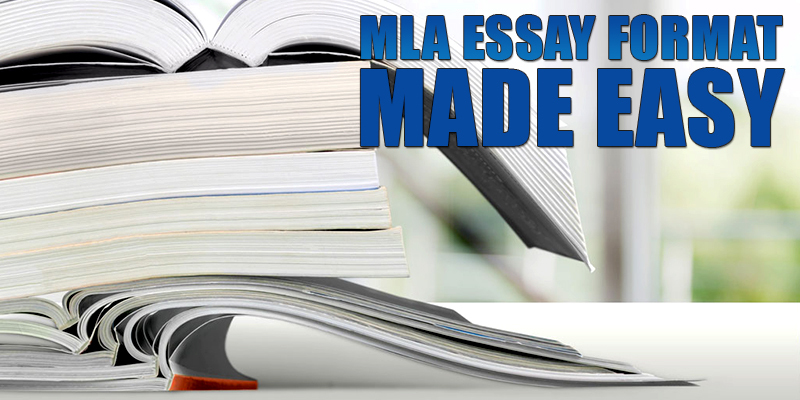 MLA essay format is rightly considered as one of the most popular essay styles in academic writing. Thousands of professors from around the globe ask their students to write MLA format essay papers. It is particularly popular in social sciences and language disciplines. Do not worry about anything, because MLA is not that difficult. You just need to know the basic recommendations and follow them. Of course, one of the first things you should do to familiarize yourself with MLA citation format is reading the MLA manual for students. However, you should not forget that such rules are updated regularly, so make sure you use the latest version of the manual. The fact that your professor asks you to write a paper using MLA essay format does not mean that you should ignore his or her unique paper requirements. You must consult the instructions and resources given by your tutor to earn the highest academic score. As part of the basic MLA format template, you must set all margins to be 1-inch wide. No matter what discipline or class you are currently in, it is the basic recommendation and you must follow it. MLA papers are always double spaced. Finally, you must include a list of works cited at the end of the paper. Otherwise, even the best written work will be considered as plagiarized. So, what is MLA format and how to write an essay in MLA format? Well, using MLA format in academic writing is about the manner of citing and managing in-text citations. You will have a Works Cited page at the end of your essay, which will include the list of references you have used in the body of your work. Do not be afraid of citing or quoting external sources. In most cases, it is a sign of your being able to conduct thorough research. However, make sure that you cite and reference each source correctly. MLA format for essays is unique in the sense that each in-text citation must include page numbers. Your paper should have page numbers placed in the right upper corner of the sheet. The latest versions of the MLA format do not recommend underlining sources on the Works Cited page. Rather, their titles are to be written in italics. Do not simply cite or quote external sources. Introduce them and explain their meaning for your paper. Persuade your reader that you have done a good job exploring your topic. With MLA formatting you can easily avoid plagiarism. When you use MLA essay format, you include an in-text citation and a note on the Works Cited list to let your readers track the original source. Unless you include some information that is your own, you must cite the source where you have found it. You will never manage to prove that your idea is the same with another author or researcher. There is no sense violating your ethical integrity and breaking your ethical image. Just follow essay MLA format and you will not have any problems with that. Even unintentional mistakes may turn into plagiarism and severely damage your academic reputation. What If it Is accidental? Well, that may happen as well, but in all essay formats unintentional plagiarism is also a serious ethical violation. Even if you say that you did not mean to plagiarize, you may be easily expelled from college. If you do not want to suffer because of your mistakes, use MLA essay format and enjoy the result. As you are trying to produce an excellent work, read through your paper once and twice, and see where you have failed to include an in-text citation. Now you are ready to submit your paper for grading!